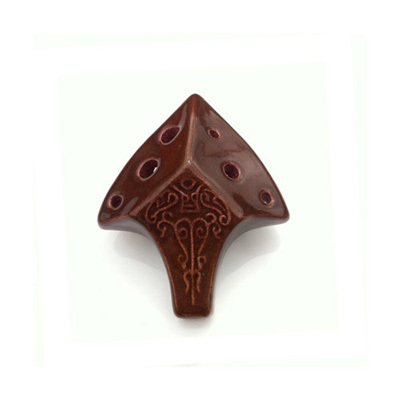 This unusual 6 hole ocarina is tuned to C and formed in the shape of a spearhead. Finished in an attractive brown glaze. Includes a beaded necklace and the ocarina songbook/tutorial for the pendant ocarina.